Sometimes you just get a craving for mushrooms. This dish makes a perfect side dish for a meat course (think steak or pork chop), or in larger quantities, a nice light dinner. 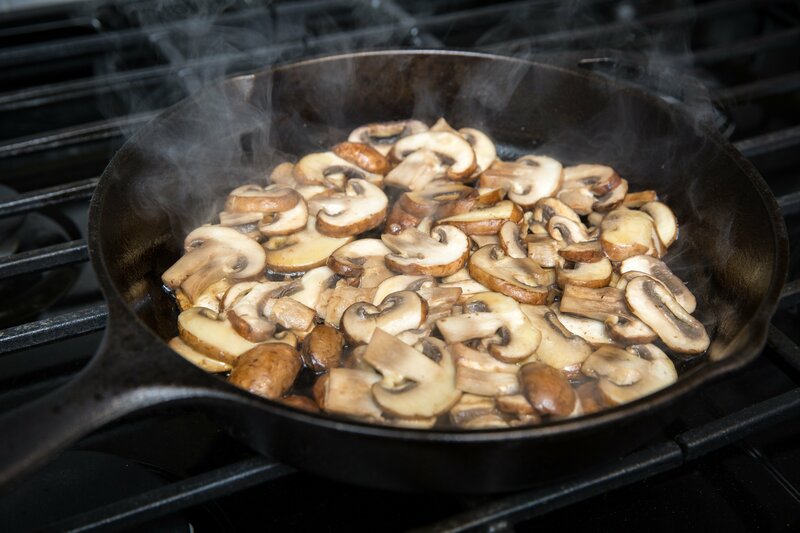 The sliced mushrooms are sautéed in olive oil for a handful of minutes until they start to brown. 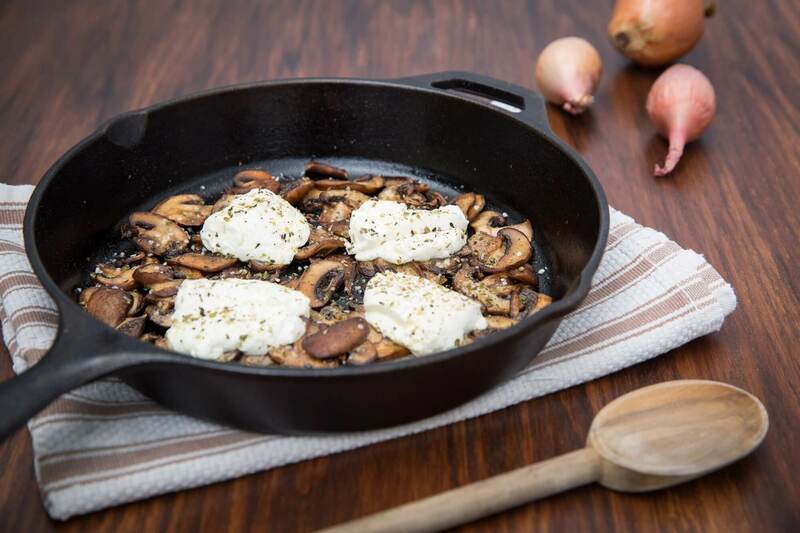 Then season with salt and pepper, top with generous slices of goat cheese, chopped thyme, drizzle with olive oil and then broil in the oven until the cheese starts to brown (5-10 minutes).